Isn't it time your company joined the online world? After all that's where most of the action is these days. 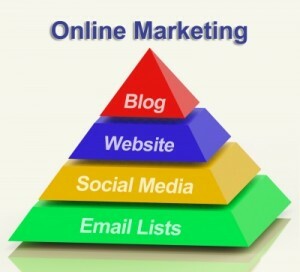 If you already have an online presence and want to get more leads give the team at Streamshare a call. As a business owner looking to thrive in today’s cutthroat, tough economy, the best way to improve your bottom line is to establish a strong presence on the Internet. You not only want to survive, you want to dominate your competition. You want to know that when someone is searching for your goods and services they find you and spend their money with you. And it doesn't matter if you don't know anything about SEO (search engine optimisation). That's what we do and you can leave that to us while you concentrate on what you're good at. Traditional advertising methods no longer work. We’ve recently read that 90% of people research products and services online before they make a purchase. So, if you do not have a presence on the Internet, you’re seriously missing the boat on a wide number of potential prospects and customers. We want to see you take your business to the next level. We want you to succeed in today’s tough business environment. The way to do that today, and it's a huge opportunity for you, is through search engine optimisation, local maps rankings (is your business has a local presence) and properly managing your reputation on the Internet. 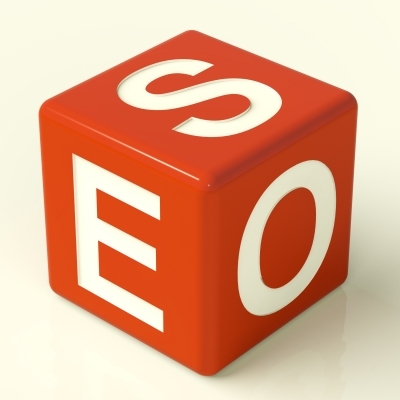 To put it simply, SEO is the abbreviation for search engine optimisation. The goal of SEO is quite simple… We will use our proprietary tactics and knowledge of the Internet to take your website from obscurity and increase your web presence to the point that when your potential customers are doing their online research, they keep coming across your website everywhere they turn. A massive part of this process is ranking your most critical keywords at the top of the search engine results. Did you know that the majority of searchers never get past the first page of the search engine results? They typically tend to only look at the first handful of results. So securing the top spots is the only way to receive the lion’s share of the traffic. The 3 local maps listings also known as the 3 pack or in the industry we call it the snack pack! Your website is where it all starts. Your website is the key to your success online. As well as having quality content about what you do it must be technically up to scratch. That means fast loading, mobile device friendly, all links and forms work and be visually appealing for your potential customers. Keyword research is crucial to your success. Without proper keyword research, there’s no way to determine which keyword phrases are being searched in your market. Plus, some phrases are too difficult to tackle in the early stages of search engine optimisation. It’s best to go after the low hanging fruit, and then allow time and authority to help improve your overall rankings for the tougher keyword phrases. Backlink building is a must. But you do not want just any backlinks. 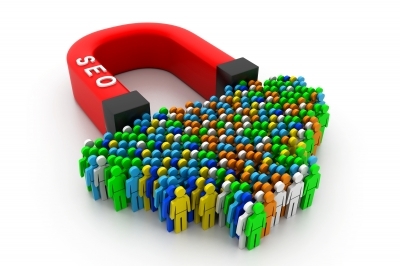 You want relevant backlinks with high page authority and domain authority. Plus you want links in a certain way. Meaning that some links will do more harm than good. We constantly take over new clients who have had an SEO company completely ruin their rankings with bad back-linking practises. On-page optimisation. Again, this is another crucial component to SEO success. Without proper on-page optimisation, you’ll have a difficult time ranking for the most important keyword phrases in your niche. Social media signals. This is becoming more important as the semantic web begins to take over the way search results are delivered. The signals are a must if you plan to succeed with your search engine optimisation endeavours. We’ve just presented a small taste of what you can expect from proper search engine optimisation. There are other aspects as well, but this is a general overview for now. We’ll share our entire philosophy when you call and have a chat about your business. Feel free to do so right now. We offer a number of key search engine optimisation services to small business and big business alike that will help you establish an online web presence quickly and efficiently. These professional services will help you improve your overall online visibility, deliver highly targeted traffic to your website and convert these potential prospects into paying customers. How does that sound? It’s necessary if you’d like to succeed in business. We predict that eventually, all businesses – even traditional brick-and-mortar companies – will become online businesses in the future. You will still have your physical location, but the majority of your customers will find you online first before they find your physical location. It’s happening already as you read this. Without an online presence, you are not taking advantage of all of the opportunities to bring new customers into the fold. We’d Love To Help You Achieve On-line Success! Why Choose Stream Share As Your SEO Company? In a word… Experience. We have helped small local, medium, large, national and international companies take their businesses to the next level through search engine optimisation. We have years of experience and the track record to prove our worth. We have so many happy customers that will attest to our ability to help. We’ll share references and recommendations with you whenever they are required. Just give us a call and ask. We’d be happy to assist you.